Let’s get this out of the way right from the start – it is NOT easy to make a list of the best cooperative board games. So many great co-op games have been designed over the last decade or so, which means that there are plenty of good ones that you will not find on this page. However, we have a feeling that most people will enjoy of the cooperative games that we DID pick since they have been proven to be favorites of most board gamers. 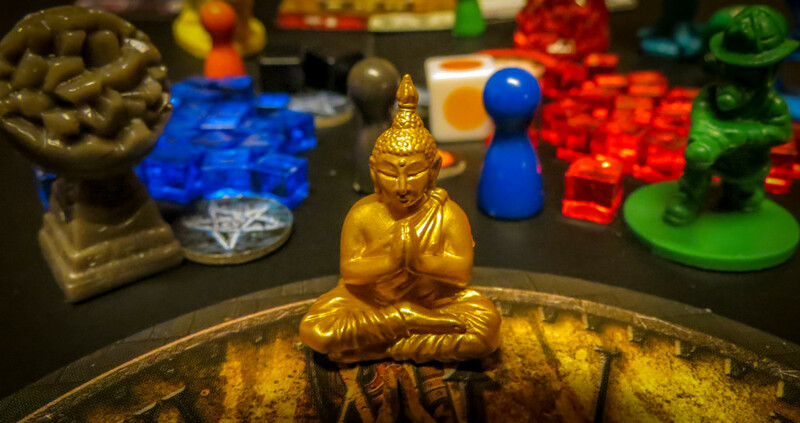 So, here they are… our Top 5 Cooperative Board Games! Sentinels of the Multiverse may seem like a simple comic-book-style cooperative game, but it is so much more than that. You get to be your very own character, and each one of them comes with their own very unique abilities. There aren’t too many co-op games out there today that give each player his or her own 100% unique deck of cards. Sentinels of the Multiverse would be pretty good even without all of those decks, but it would not have this type of replayability. In our opinion, there simply isn’t a better cooperative card game on the market right now. If Greater Than Games continues to put out great Sentinels of the Multiverse expansions, expect it to stay on this list for a long time. Read our full Sentinels of the Multiverse review! Get your copy of Sentinels of the Multiverse here! Marvel: Legendary used to hold this spot, but we think Legendary Encounters: An Alien Deck Building Game is just a bit better. It is one of the most difficult cooperative games to beat, but it’s a blast regardless of whether you win or lose. Pretty much anyone who enjoys the Alien movies and/or deck building games will like this one. It has fantastic artwork and the theme just jumps out at you throughout each scenario. Right now, we think it is the best Legendary game out there. Read our full Legendary Encounters: Alien review! 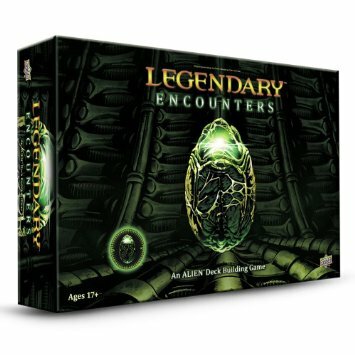 Get your copy of Legendary Encounters: Alien here! Sherlock Holmes Consulting Detective is a one-of-a-kind deduction game. Unlike most other tabletop games, this game allows you to go in any direction you want to. You can spend as much time on a case as you please, but your goal is to do better than Sherlock himself. Amazingly, this game was released back in the early 1980’s, yet it is actually better than most modern board games. Yes, there is a lot of reading and listening to do, but most people will have fun trying to pick up clues in the case files and paying close attention to each lead. If you’re a fan of Sherlock Holmes, get this game. If you’re a fan of deduction, get this game. If you’re a fan of unique board games, get this game. GET THIS GAME. Read our full Sherlock Holmes Consulting Detective review! Get your copy of Sherlock Holmes Consulting Detective here! Even people who don’t prefer cooperative board games love Pandemic, so of course it’s on our list of top cooperative board games. Pandemic and its expansions redefined what the cooperative genre could be, and many gamers still see it as one of the very best games in the world. What makes Pandemic so great is that it is very easy to set up, and who doesn’t like the task of saving the world? When you can work with one or more people to stop the spread of disease, you’re going to feel pretty good about yourself. Pandemic is the only game on this list – and perhaps the only cooperative game in existence – that is a modern day classic. 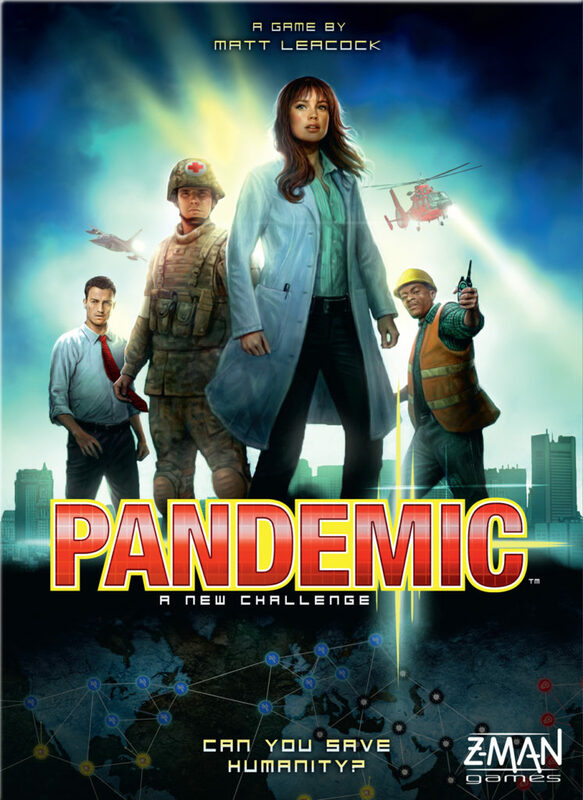 Read our full Pandemic review! Get your copy of Pandemic here! Number one on our current list of top 5 cooperative board games goes to a game that just about everyone appreciates. There have been a few games that have attempted to match what Ghost Stories brings to the table, but there has yet to be one that has matched its intensity and beauty. The theme may not seem appealing at first, but it quickly grabs you once you have gotten through one game. What’s interesting about Ghost Stories is that it is considered one of the most difficult cooperative board games around, yet just about everyone seems to love it. Many difficult games leave you frustrated, while Ghost Stories makes you want to jump right back into the fight! Read our full Ghost Stories review! Get your copy of Ghost Stories here! Defenders of the Realm is still my favorite game. The new Dragon Expansion ratchets up the difficulty, too. I have “sold” a lot of copies of this game by teaching it – which pleases me. It has a lot of depth and tension. But, you can also play with younger people (10-11 year olds and younger can play, since it’s cooperative, and the theme holds their attention). This is a fantastic game, but can be hard to find. Defenders of the Realm is great! A lot of people I’ve played it with like it a bit more than Pandemic. Are you going to get Defenders of the Last Stand? We traded the KS version of DOTLS for Zombicide and a Marvin the bodyguard promo. I’m happy with that trade. If you haven’t tried Police Precinct, I think it’s a must have for groups that love coops. It’s so intense, we love it. We don’t play with the hidden traitor. It’s hard enough to win as a pure coop. I’ve seen it played, but haven’t had a chance to play it myself yet. To be honest, I’m not a big fan of the look of that game.